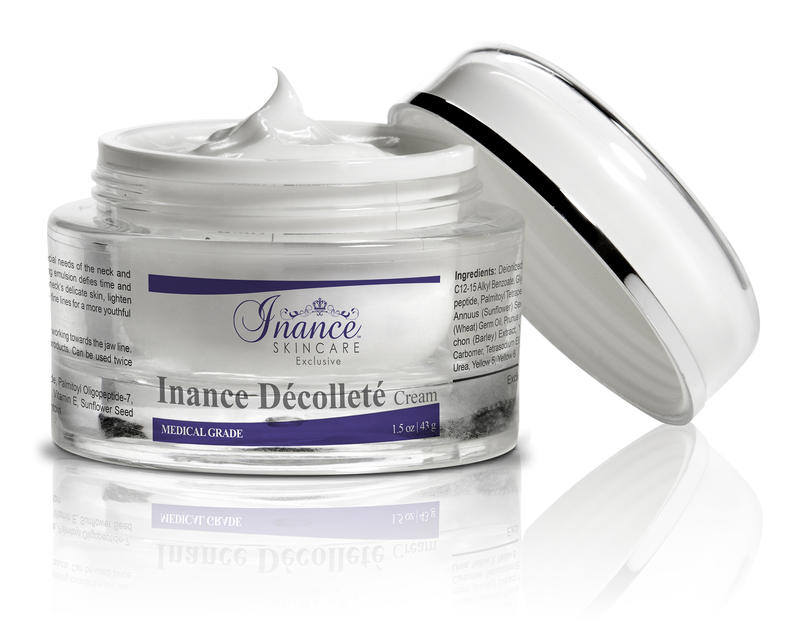 Specifically formulated to address the special needs of the neck and décolleté. This advanced intensely hydrating emulsion defies time and gravity to restructure, tighten and firm the neck’s delicate skin, lighten pigmentation related conditions and minimize fine lines for a more youthful looking neck and décolleté. Palmitoyl Oligopeptide, Palmitoyl Oligopeptide-7, Yeast Extract, Algae Extract, Barley Extract, Vitamin E, Sunflower Seed Oil, Wheat Germ Oil, Sweet Almond Oil, Allantoin. Deionized Water, Cetyl Alcohol, Cetearyl Alcohol, Isopropyl Palmitate, C12-15 Alkyl Benzoate, Glycerin, Dimethicone, Butylene Glycol, Polysorbate 20, Palmitoyl Oligopeptide, Palmitoyl Oligopeptide-7, Glyceryl Polymethacrylate, Propylene Glycol, Helianthus Annuus (Sunflower) Seed Oil, Emulsifying Wax, Glycol Distearate, Triticum Vulgare (Wheat) Germ Oil, Prunus Amygdalus Dulcis (Sweet Almond) Oil, Algae Extract, Hordeum Distichon (Barley) Extract, Yeast Extract, Tocopheryl Acetate, Allantoin, Xanthan Gum, Carbomer, Tetrasodium EDTA, Triethanolamine, Methylparaben, Propylparaben, Imidazolidinyl Urea, Yellow 5, Yellow 6.